Enjoy Free WiFi and our Express Start breakfast included during your stay at our hotel. 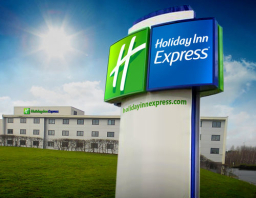 The Holiday Inn Express Manchester Airport Hotel is situated just off the M56 and is easily accessible by car and public transport. Holiday Inn Express Manchester Airport hotel has ample parking space for guests at an additional charge. 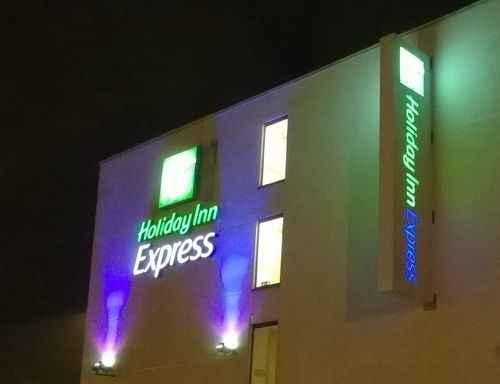 The Hotel has 199 newly refurbished contemporary bedrooms. All of our bedrooms have a spacious power shower. Complimentary tea and coffee making facilities. Colour LCD televisions with an extensive channel selection and free to view movies. Within driving distance of the hotel is Manchester City Centre, with a great choice of shops and activities. The Trafford Centre. Old Trafford Stadium and the Etihad Stadium are all within 15km of the hotel. Tatton Park country estate. The Lowry arts and entertainment centre and The Runway Visitor Park are also close by. The hotel has a shuttle service which runs every 20 minutes from 4am to 12noon. This shuttle service is to all airport terminal buildings plus the train station. It is advisable to book your seat at your desired time on arrival at the hotel with the reception team. Our evening shuttle service runs from 5pm to 11pm and is on a request basis so please call the hotel to book this shuttle service on 0161 980 2556. This service is chargeable at pound 3.00 per person per trip and is to be paid to the driver. Children under the age of 5 travel free.